Stephen Hillenburg, the creator of SpongeBob SquarePants, died on November 26, 2018 at fifty-seven. The Nickelodeon TV program gained huge popularity with both children and adults over it’s nearly twenty-year run. Nickelodeon tweeted out, “Steve imbued SpongeBob SquarePants with a unique sense of humor and innocence that has brought joy to generations of kids and families everywhere.” Nickelodeon also said in a statement, “His utterly original characters and the world of Bikini Bottom will long stand as a reminder of the value of optimism, friendship and the limitless power of imagination.” Hillenburg had a huge interest in marine biology, which ended up being the driving force for the creation of SpongeBob SquarePants. 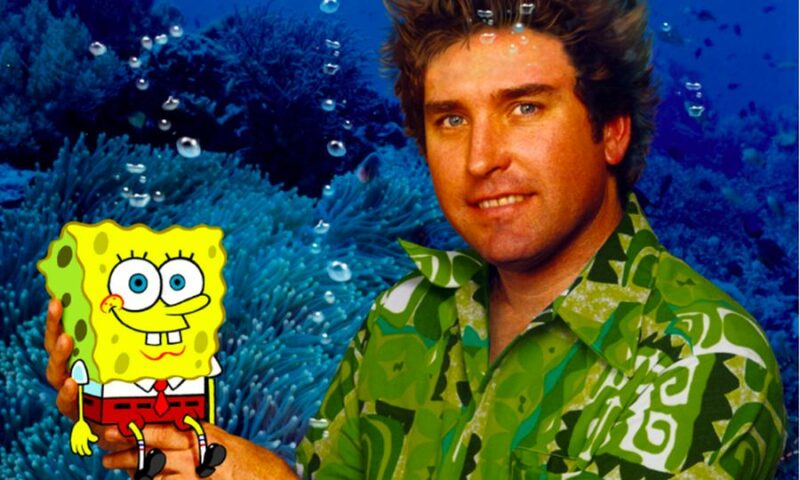 Hillenburg, who is originally from Oklahoma, started his career teaching marine biology at the Orange County Marine Institute in Dana Point, California. He started his professional career in 1984 instructing marine biology at the Orange County Marine Institute where he wrote The Intertidal Zone, an informative comic book about tide-pool animals which he used to educate his students. The show has been on air since 1999. Its spawned two movies – 2004’s The SpongeBob SquarePants Movie and 2015’s The SpongeBob Movie: Sponge Out of Water – and a Broadway show. Spongebob Squarepants has a huge global reach. According to Nickelodeon, it’s been translated into more than sixty languages. Earlier this year, Tom Kenny, who is the long-time voice of SpongeBob, paid tribute to Hillenburg while presenting him with an award at the Daytime Emmy Awards. Its varied cast of characters encourages appreciation of diversity without ever even hinting at that word or that goal. Spongebob Squarepants was one of Nickelodeon’s highest-rated cartoons for children and a staple of American television. Millions of children grew up with SpongeBob SquarePants and it helped children get worth rough times and even gave them a simple laugh. Talking about the show, Stephen Hillenburg said, ”I wanted to do a show about a character that was an innocent, and so I focused on a sea sponge because it’s a funny animal, a strange one.”. In March 2017, Hillenburg disclosed to Variety Magazine that he had been diagnosed with amyotrophic lateral sclerosis (ALS), a terminal illness that affects and causes the death of neurons that control the brain and the spinal cord. He released a statement to the publication, in which he said that he would continue to work on SpongeBob SquarePants “for as long as I am able.” He added, “My family and I are grateful for the outpouring of love and support. We ask that our sincere request for privacy be honored during this time.” At the time, Hillenburg was in the early stages of the disease, according to a source close to him. Stephen Hillenburg passed on November 26, 2018 in Southern California. He had an incredible life and career and his passing has sadden millions of fans of the Nickelodeon TV show SpongeBob SquarePants. Stephen created his yellow sponge friend to educate his students and now it is one of the most influential TV show to young children and adults. May you rest easy Stephen Hillenburg.